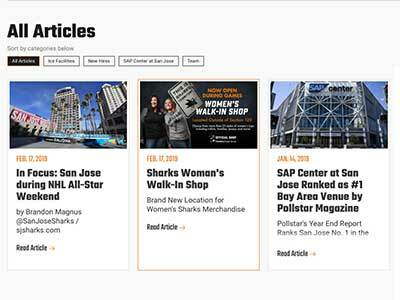 Sharks Sports & Entertainment has launched their new internal staff portal site! The private employee only site gives them a customizable home dashboard full of pertinent information such as uniform standards, policy changes, and employee recognition awards. 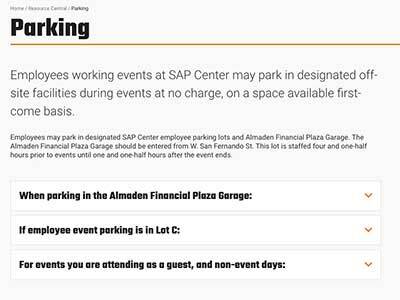 They also have a unique employee calendar that brings in SAP Center events and allows them to add employee events such as "dry cleaning pick up day" or "payday."